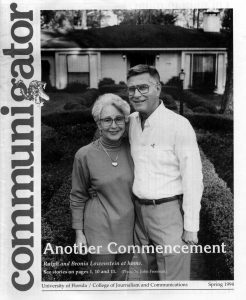 2017 marks the 40th anniversary of Ralph Lowenstein’s arrival at the College of Journalism and Communications. 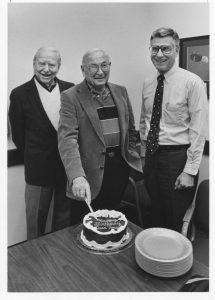 Dr. Lowenstein left an indelible mark on the College, which will celebrate its 50th Anniversary in 2018. In the summer of 2016, Dean Diane McFarlin sat down with Dr. Lowenstein to reminisce about his experience and many accomplishments. The full video and edited clips from that interview are on the right. Learn more about Dr. Lowenstein in this interview for the Samuel Proctor Oral History Program. 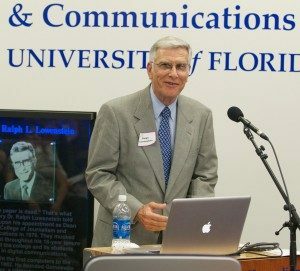 Dean Emeritus Ralph L. Lowenstein was named the third Dean of the College in 1976 following the retirement of John Paul Jones, Jr. Lowenstein was chairman of the news-editorial program at the University of Missouri prior to coming to UF. He was one of the first journalism educators to write about the electronic newspaper. In Media, Messages and Men, which he co-authored in 1971 with John C. Merrill, Lowenstein predicted the “personal retrieval stage” of mass communication in which any person would be able to retrieve an infinite amount of material of specialized interest from central computers. Lowenstein earned his bachelor’s and master’s degrees from Columbia University and his doctoral degree from the University of Missouri. He has received the SPJ Distinguished Award for Research about Journalism and the Columbia Journalism Alumni Distinguished Service Award. In 2011, he received the Emma Lazarus Statue of Liberty Award from the American Jewish Historical Society. The award is the society’s highest honor and is presented to an individual who has demonstrated outstanding leadership and commitment to strengthening the American Jewish community. Established WUFT-FM, the Brechner Center for Freedom of Information and the Knight Division for Scholarships, Career Services & Multicultural Affairs. Increased the College’s endowment from $2 million to $12 million. Constructed and dedicated the new Flanagan Wing in Weimer Hall, due to Al and Effie Flanagan’s bequeath of $6 million. The Public Relations Department was accredited. Launched the doctoral program in mass communication. Was one of the country’s first colleges to install a large, integrated PC network, made up of some 300 computers. 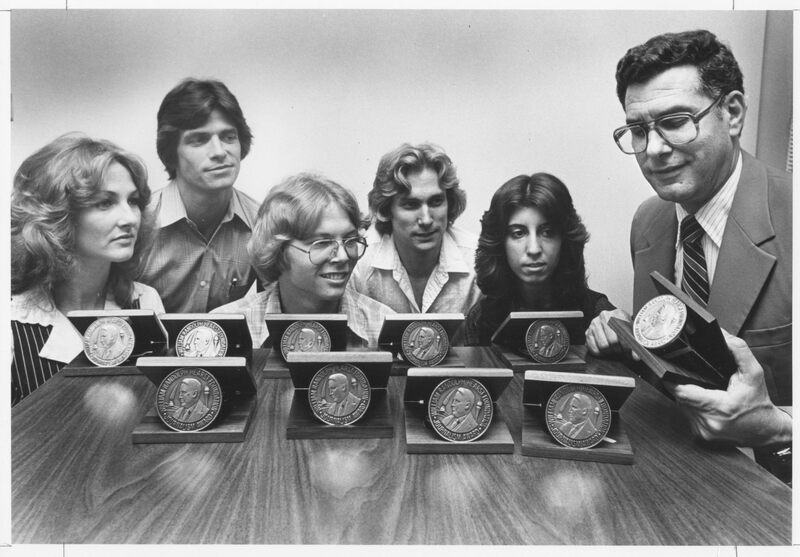 Established the first citywide, continuously updated electronic newspaper in conjunction with the Gainesville Sun and the New York Times. After retiring, Lowenstein has stayed active in the College and the community. He still regularly walks the halls of Weimer, greeting students and faculty. Regarded as a national visionary for how technology would change the journalism and communications professions, Lowenstein has been an inspiration in the College for more than 35 years. His email is rlowenst@jou.ufl.edu.